You may have thought that I was carried off by a spaceship these past few weeks but alas no I have just been on vacation and busy with life. 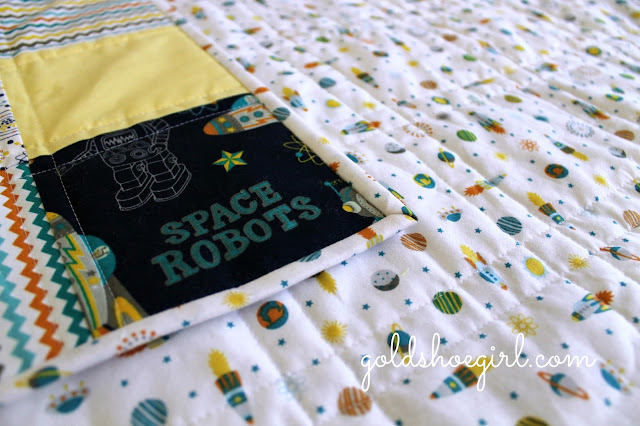 I did manage right before we left to start this little boy quilt. I haven't used any boy themed prints since doing a quilt for my nephew over a year ago now so I thought it was time. 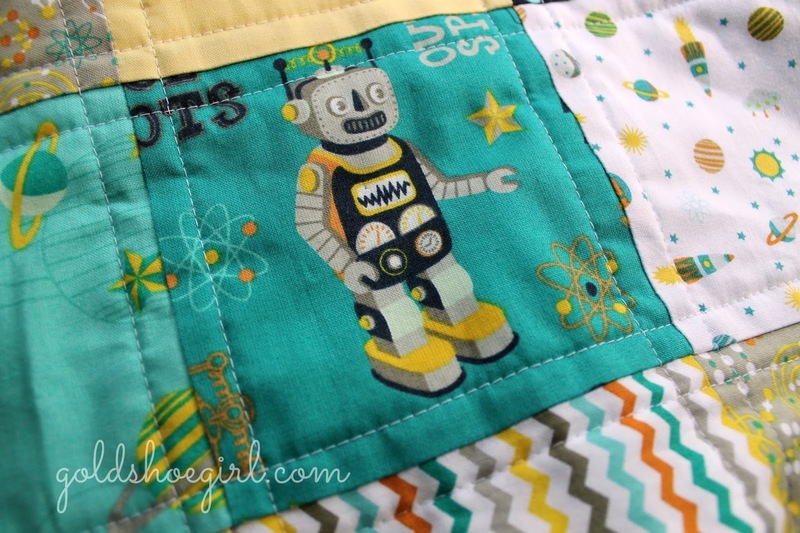 I used Silvia Dekker's Atomic Bots collection to make up this quick patchwork baby quilt. Something about those robots just appealed to me. I fussy cut around the spaceships and robots to maximize the best parts of those prints. 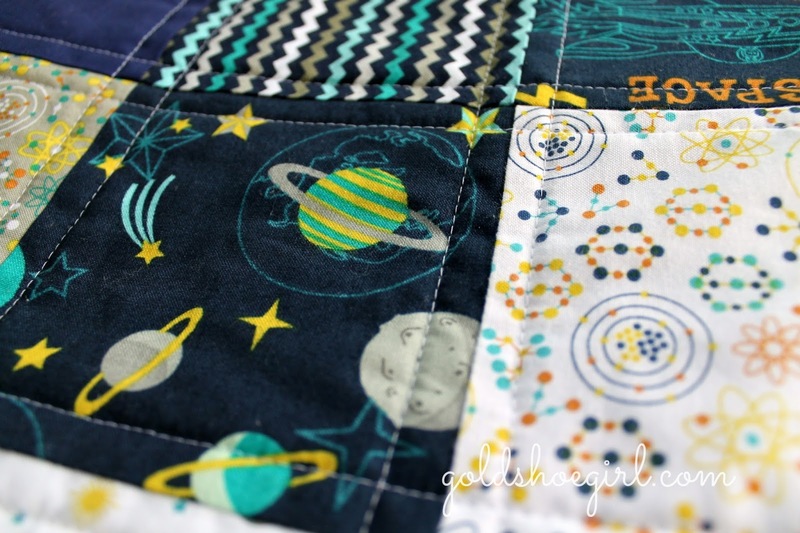 The backing is made from the white outer space scene print and I also used that for the binding. I wanted to get this one done quickly so I used my go to quilting up and down the seams method. It worked well with these prints to highlight the fussy cut parts and not be too heavy. The quilt ended up at 40 x 40 inches and is available in my etsy shop (along with a few new doll quilt sets) if you're interested. 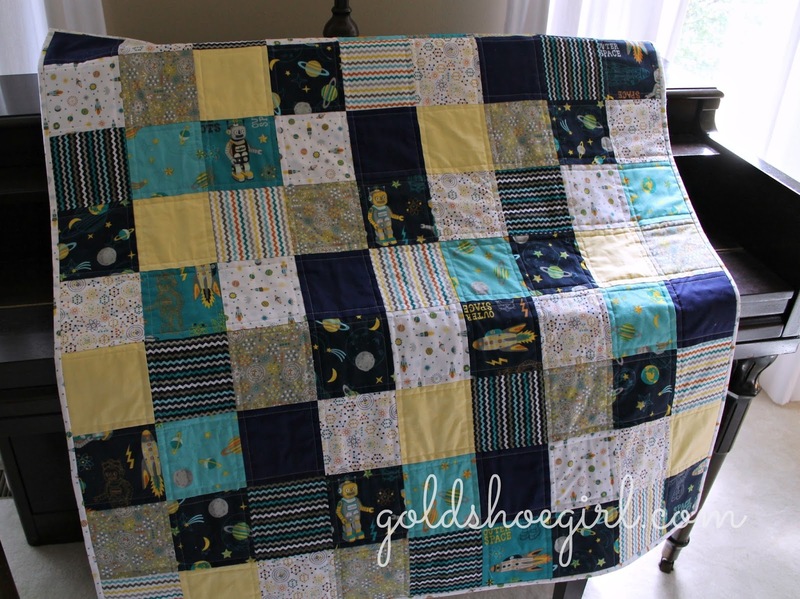 Now I am on to a custom quilt ordered by a lovely customer all the way out in San Diego. 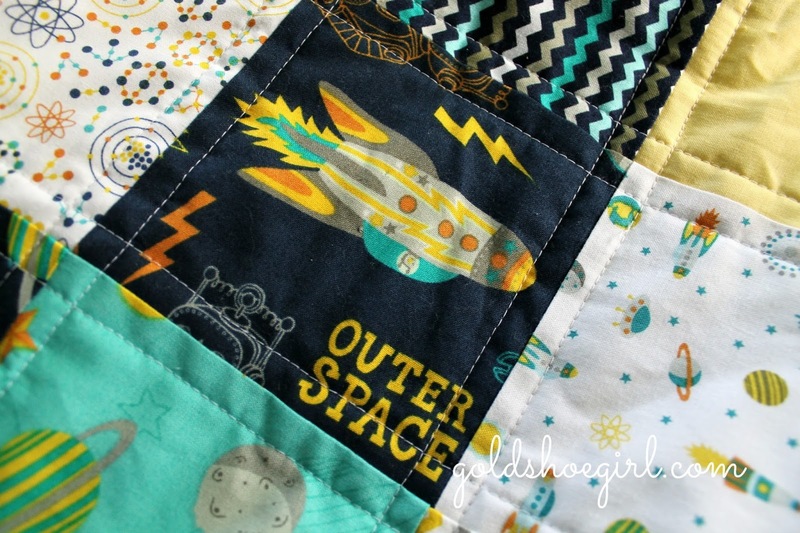 It's my first all solids quilt so I am excited to get started.